Dragon Quest XI is one of the best entries in the series by Square Enix, but it is not without flaws. Among them is the soundtrack, which sounds like a step back from previous entries as it synthesized. From today, however, those playing the PC version of the game will be able to replace the original music with orchestral tracks. A few hours ago, the Dragon Quest XI Orchestral Overhaul Mod has been released. This mod allows players to replace the game’s synthesized soundtrack with the orchestral variants which are part of the official Symphonic Suite albums. The mod doesn’t include the actual tracks, so they have to be purchased separately. Welcome to the Orchestral Overhaul Mod for Dragon Quest XI: Echoes of an Elusive Age. The purpose of this guide is to demonstrate the proper installation of this mod, as well as showing how to install it alongside the popular Special K mod. The goal of this mod is to provide the proper auditory experience that is deserving of this masterpiece of a game by applying all available orchestral variants of the songs present in the game, as composed by Koichi Sugiyama and performed by the Tokyo Metropolitan Symphony Orchestra. More information on the mod can be found on the game’s Steam Community. Dragon Quest XI is one of the best JRPGs released in recent years. In his review, Kai describes the game as a modern classic. 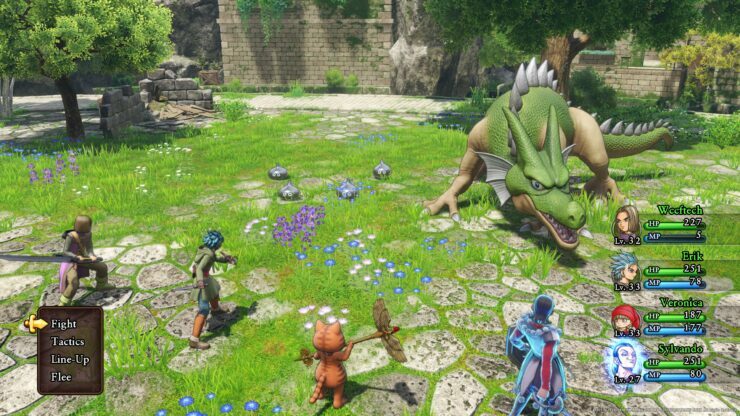 Dragon Quest XI is an incredible example of how to take a classic series and modernize it with updated graphics and voice acting while still keeping what made the original so charming. If the story stayed strong all the way through, it would be my favorite in the series hands-down. Nevertheless, it’s still in the top three Dragon Quests that I’ve ever played. Dragon Quest XI is now available on PC and PlayStation 4.